Nintendo is a giant in the video game world. The Japanese video gaming company is synonymous with quality blockbuster titles like Mario, Metroid and Zelda. Though it raked in big profits with its Nintendo Wii and 3DS consoles things are not looking good for its most recently released gaming console – the Wii U.
Nintendo surprised the industry today with the announcement and reveal of their new budget handheld console directly targeted at kids. 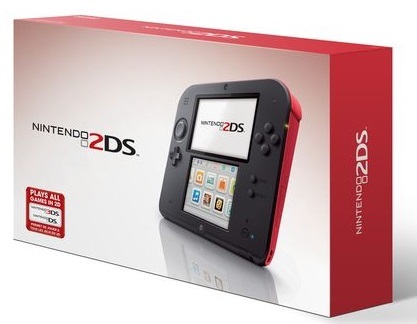 The Nintendo 2DS does away with the clamshell design and 3D capabilities of the 3DS and instead offers a brick-style design and with access to the thousands of titles foe the Nintendo DS and 2D versions of 3DS games already available. This is a very interesting move from a business standpoint but consumers and even industry professionals are not impressed. 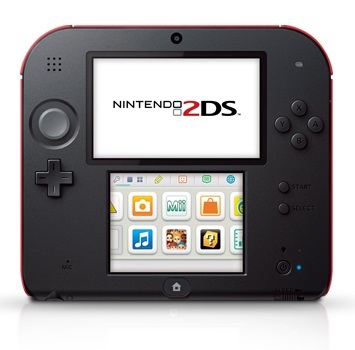 The Nintendo 2DS goes on sale in red and blue colorations on October 12th for US$130.